If you have pelvic problems and are in need of high quality endometriosis treatment provided by a dedicated team of experts, then The Endometriosis Clinic is here for you. We have assembled a very highly skilled multi-disciplinary team of specialists in the fields of gynaecology, general and colorectal surgery, urology, cardiothoracic surgery, Hepatobiliary surgery and pain management to help you deal with the effects of endometriosis. Your needs are at the centre of what we do. We are a BSGE accredited centre. The Endometriosis Clinic is based at three private hospitals across the Midlands to give patients greater choice and accessibility. Expertise in laparoscopic surgery only comes with time spent in the operating theatre. 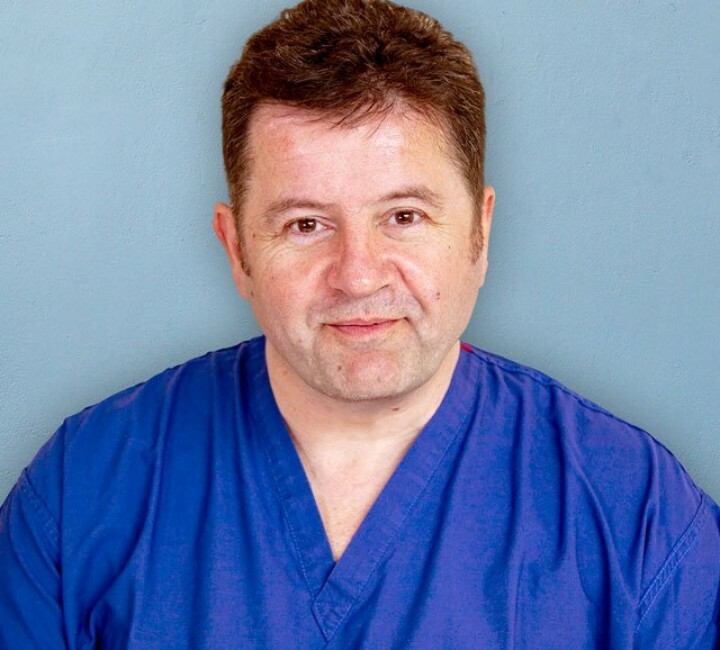 Over the past twenty years, Mr Mann has successfully treated more than 3000 patients suffering from endometriosis. This vast experience is invaluable to patients. He has published in peer reviewed journals on the subject as well as lectured nationally and internationally on endometriosis, oncology and laparoscopic surgery. Millions of women across the world are affected by endometriosis and approximately 10% of women in the UK of childbearing age may have the condition. It is the second most prevalent gynaecological disorder after uterine fibroids and symptoms range from mild discomfort to debilitating pelvic pain. Many women with the condition find their lives severely disrupted including their work, education and social lives. Endometriosis may affect family relationships with partners, friends, children and colleagues and it may also cause difficulties in becoming pregnant. Painful periods that get worse over time. Chronic pain in the lower back and pelvis which radiates down the legs. Painful bowel movements or painful urination, especially at the time of your periods. Gastro-intestinal problems such as diarrhoea, constipation or bloating, especially during your periods. • Clear confirmation of your diagnosis. • Alleviating the need for long term use of drugs that manipulate your menstrual cycle and also of major analgesics. • Treating your condition using laparoscopic techniques leading to long term relief from symptoms. Our focus at The Endometriosis Clinic is on you as our patient, and we aim to bring our experience and expertise to make your visit to our clinic as positive and helpful as possible. We will help you fight endometriosis by giving you a fast and clear diagnosis wherever possible, including staging of the severity of your condition. We will offer you therapeutic options available depending on your diagnosis and stage of the condition. Our team aim to optimise your treatment in a way that is tailored to the extent of your endometriosis and to you as an individual. When surgery is required we will aim to treat your condition using laparoscopic techniques, something which is possible in the vast majority of cases that require removal of the endometriosis. In severe or extensive cases this can involve more than one gynaecologist operating and may also involve a general or urological surgeon if required. We have the expertise and resources to help with our multidisciplinary team who are dedicated to managing patients with endometriosis, whether it is mild or extremely severe in it’s extent. We take time to understand your history and the symptoms that you have experienced in the past. This type of scan may be used as it is particularly helpful in diagnosing ovarian cysts due to endometriosis. This will show often be helpful in characterising ovarian cysts as well as assessing disease severity in rectovaginal disease. This involves passing a fibre-optic scope through a small cut in the navel. This is a very effective technique in diagnosing endometriosis and is often referred to as the “Gold Standard” for diagnosis. "The pain used to be so bad that I couldn't do anything. For a year, I could hardly even sit down. The results of the surgery in 2004 were amazing."